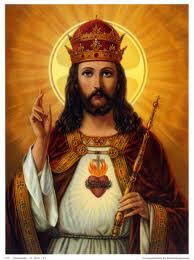 25 Feast Day of Our Lord Jesus Christ, King of the Universe! if they are not made known, their rays cannot extend and take souls as though in their hands to warm them, to remove from them the torpor of the human will, to mold them anew, to transform them again in the life which my Fiat wants to infuse into them; because these knowledges are, and contain, the new creation of transforming the creature as he came out of Our creative hands.” Fiat! …. 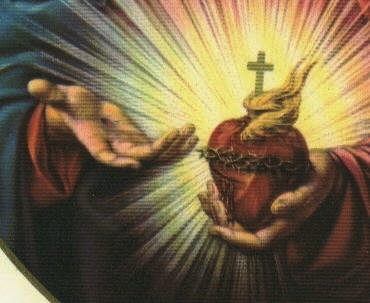 This is the generous Heart with which I have longed to suffer, to give You complete satisfaction for all the sins of men….Oh my Father, was there, perhaps, one single beat of my Heart that did not seek your Glory and the salvation of my brothers at the cost of pains and of Blood? Did there not come forth from this always oppressed Heart of mine the ardent supplications, the groanings, the sighs and the strong cries with which for thirty-four years I have wept and cried out for Mercy in your Presence? I therefore appeal to everyone: listen to me! May you know that I am a Piccina (Little One), the smallest of all creatures.… I will bi-locate to be in the Divine Will together with Jesus, I will come like a tiny child to your womb, and with groans and cries I will knock at the doors of your hearts, to ask you, like a little beggar girl, for your donations, your rags and tatters, your mourning clothes, your unhappy will, to give it to Jesus; so that He will burn it all and in restoring His Will to you, will give you His kingdom, His happiness, the brightness of His royal robes. If you but knew what God’s Will means! It contains Heaven and earth; if we are with it, everything is ours and everything derives from us; if we are not with it, everything is against us; and if we have anything at all, we are true thieves of our Creator and live by fraud and stealing. Therefore, every time you recite the Pater Jesus is overcome by such a longing to give you His Kingdom, His Fiat, that He hastens to say, with us, “My Father, it is I who ask this for my children, do it quickly“. Thus the first to pray is Jesus himself, and then you too ask this in the Pater. So don’t you want all this goodness?